Manchester United and Tottenham are interested in Bayer Leverkusen prodigy Julian Brandt, according to the football transfer rumours in German Media. 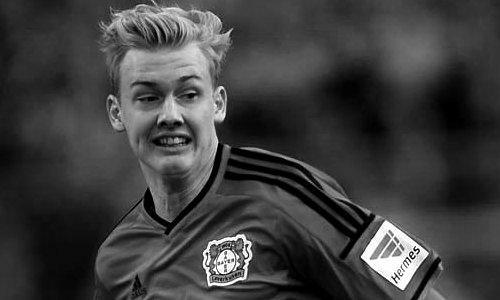 Julian Brandt started his carrier at SC Borgfeld, and then he moved to FC Oberneuland. After that he joined the youth academy of VfL Wolfsburg. In 2014, Brandt moved to Bayer Leverkusen, for a fee in a region of 350,000 euros, where the German prodigy has signed a professional contract until 2019. Since his arrival from VfL Wolfsburg, Brandt has scored 19 goals and provided 22 assists in 115 games for Bayer Leverkusen, including three goals and provided six assists in 22 games in all competition this season. Bayer Leverkusen left-winger’s fantastic form is the main reason for attracting interest from Manchester United and Tottenham. How strong that interest is and whether Manchester United or Tottenham will make a January move remains to be seen but it is certainly one worth keeping an eye on.